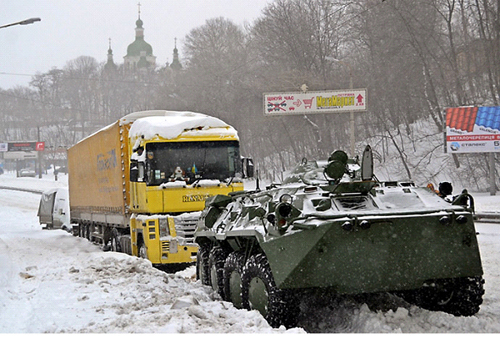 The military has been called on in the Ukraine to assist in traffic. 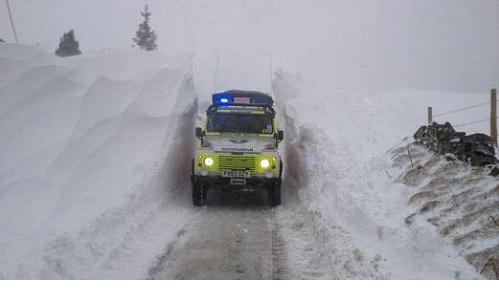 England also have problems with snow. Over a moor, Saddleworth Moor, east of Manchester. 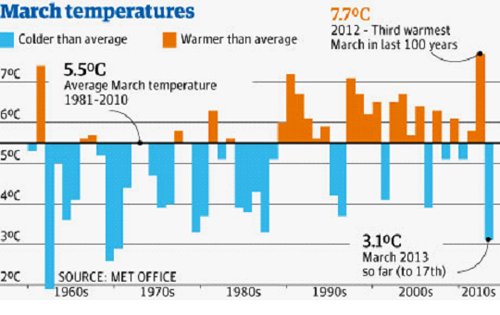 A temperature curve for the month of March in Northern Ireland. 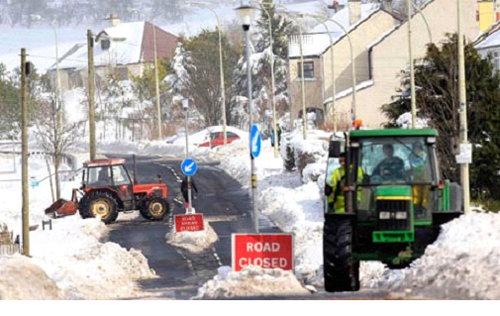 Last year's March was wonderful not only in Sweden but also in Northern Ireland. In London, it's zero degrees today. 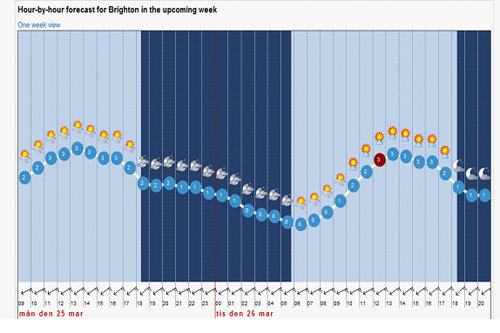 In Brighton south of London the average temperature is 7 degrees in the month of March normally but now it's different. It varies between 0 and 3 degrees today. A large group of students from Vårgårda went to Brighton yesterday for intensive studies in English, unfortunately it will be cold for them.